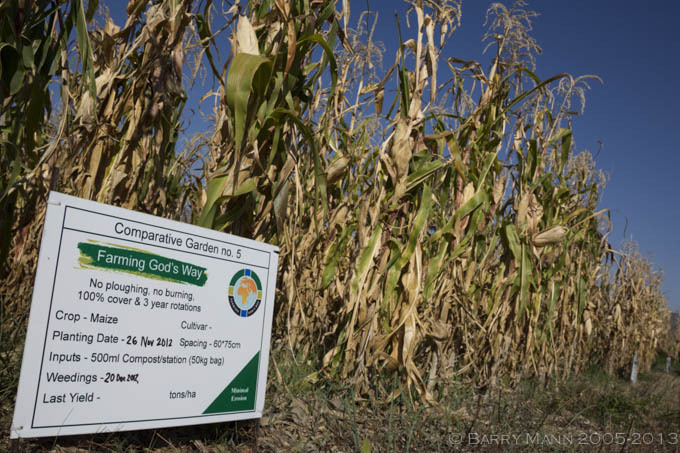 Growing Nations is more than teaching farmers about Conservation Agriculture. Growing Nations teaches how to Farm God's Way, not only showing how to farm in a sustainable way but also providing training in transformational development. We want people's lives to be changed through what they have learnt. Ultimately we want the land and people's live to be restored. The goal of the discipleship through Agriculture work is to influence key people who will be able to take the Farming God's Way message further. For many years Growing Nations have been teaching the pastors of the Lesotho Evangelical Church in Lesotho about Farming God's Way to enable them in turn to teach farmers in their local areas about the benefits of Conservation Agriculture. Growing Nations has also now established a Resident Student Program, a formal training programme for young farmers farmers in Lesotho. Growing Nations have also been teaching Farming God's Way (FGW) internationally too, in Kenya and Chad, alongside Tim Bannister, Andrew & Sue Faber and Craig Sorely through the organisation Care of Creation Kenya. In 2012 Growing Nations set up 9 side by side comparison plots on the demonstration farm to show farmers the difference in yields & quality between 3 different farming methods methods & 3 different types of fertiliser. The farming methods compared are , conventional (ploughing), FGW & FGW with top dressing, with trials comparing each method with applications of compost, manure & inorganic fertiliser. 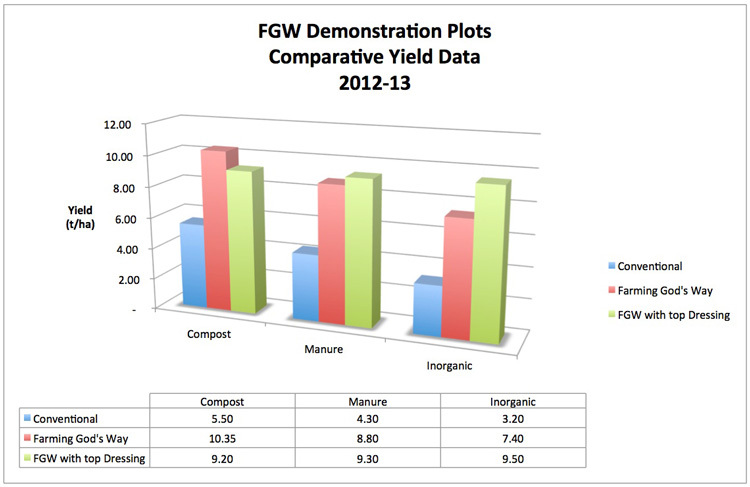 The results from the 2012/13 season clearly show that all the FGW plots produced at least double the yield of the conventional plots, with those plots with compost applied producing the best yield rates. At a time when there is great concern in the world about climate change and food security, Farming God's Way is teaching farmers how to care for their environment whilst increasing crop yields, locking carbon into soil and reducing soil erosion. It is also teaching transformational development and key business skills and providing hope for the future. Grant Dryden, August Basson, Wilhelm Els and Carl Schmidt are the stewardship team for Farming God's Way in Africa. More details can be found on the Farming God's Way website. Brian Oldrieve, the founder of Farming God's Way, is currently rolling out Foundations for Farming in Zimbabwe.